Our breakthrough Trane CleanEffects™ air filtration system can remove up to 99.98% percent of airborne allergens from your home’s filtered air. Also, for many families, a whole home humidifier not only provides the right amount of moisture for total comfort, it can help to keep irritating airborne particles from circulating as easily. Effectively, ventilation is critical for fresher, more comfortable air throughout your home. Bad odors can linger, making indoor air unpleasant and uncomfortable. 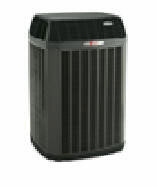 Trane FreshEffects is an energy-efficient way to improve the quality of the air inside your home. What’s happening behind-the-scenes in your home? If you have the Trane ComfortLink™ II fully integrated, self-configuring system, quite a lot is happening. 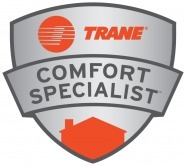 From verifying proper installation to maintaining proper airflow calibration over the whole life of the system, Trane heating and cooling products are always talking to one another about how to keep your family comfortable. This diagram shows the typical heating and cooling settings. By setting your thermostat higher in the cooling season you can see that you will use less energy, for example the diagram shows that you will use 15% less energy setting your thermostat at 80 deg. and will use 16% more energy setting it at 76 Deg. The same is true for heating season,setting yout thermostat lower you can use less energy. for example setting your thermostat at 68 Deg. you can use 11% less energy and setting it at 73 Deg. you can use 17% more energy.